Today in this post I will tell you how you can search anything by keeping your privacy with you. When we search anything on Google, Yahoo, Bing or any other such search engine then they always try to track us, so that they can know more about us and give us relevant search results and advertisements. We sometimes don’t care about those things but when our data will be used against us, then what we will do? So sometimes we do need to care about our privacy also while searching anything. Don’t worry there is a search engine to help you in this called DuckDuckGo (DDG). It uses API from over 30 different sources, which includes DuckDuckBot (DDG own crawler), Yahoo! BOSS, embed.ly, WolframAlpha, EntireWeb, Bing, Blekko, etc. 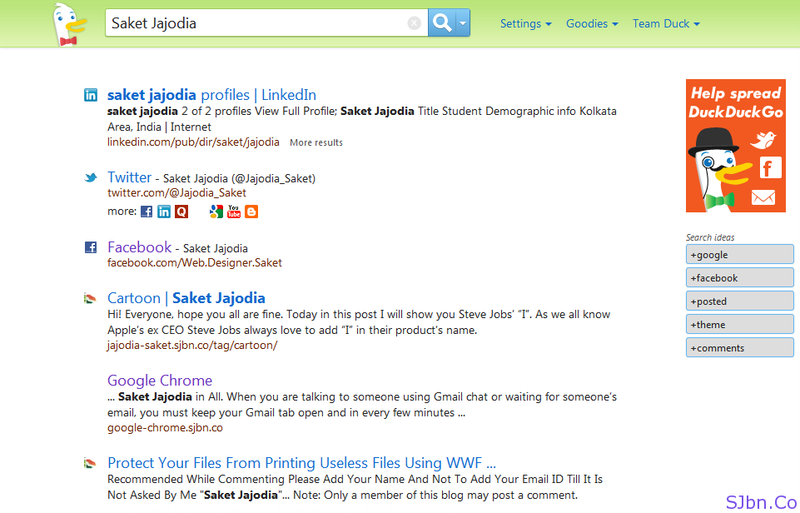 List seems to be endless and if you searching for an alternative of Google then this is the best one you can ever find. 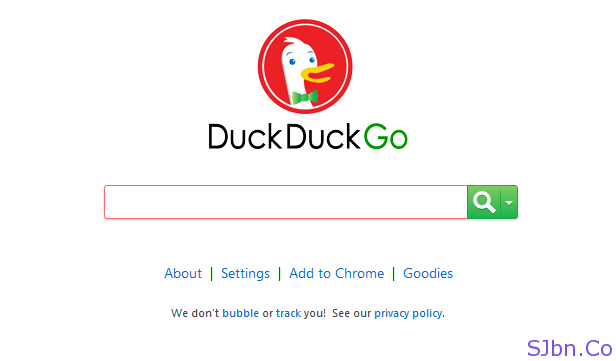 Do let us know what you think about DuckDuckGo (DDG).